It’s been a busy travel year for me. 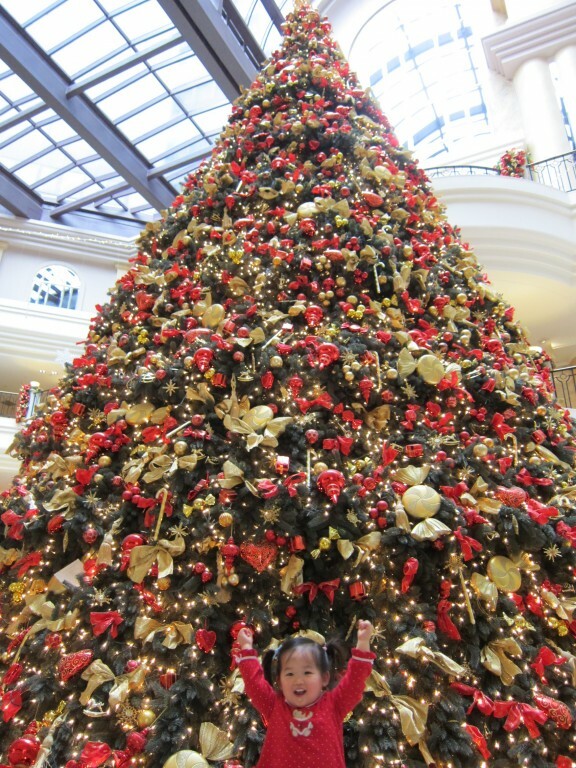 After taking it relatively easy in 2013 (newborn baby excuse), I’ve managed to make five international trips this year. Makes me thankful for this hobby and the ability to save money and travel in comfort. So a happy holidays to all as I begin my final trip of 2014! Though Jess and I were both born in the States, we both have a big attachment to Taiwan and Hong Kong (our respective “home” countries), despite our ABC (American-born Chinese) status. I even lived in Hong Kong for a few years when I was a kid. What better time to take M back home than over the holidays? First, it’d be the last time she could fly as a lap infant. Secondly, it wouldn’t be a 100% humidity sauna like it would be in the summer. And third, as an almost 2 year old, she can actually appreciate some of the stuff here (like the fact that everyone is speaking her preferred tongue. This trip took quite a bit of planning – but so far it’s been going well. Here’s a quick taste of how we used our points and miles to cut the costs down on this year-end trip. We are less than 24 hours off of this flight, but it was pretty great. But I digress. I booked this flight around 11 months ago. 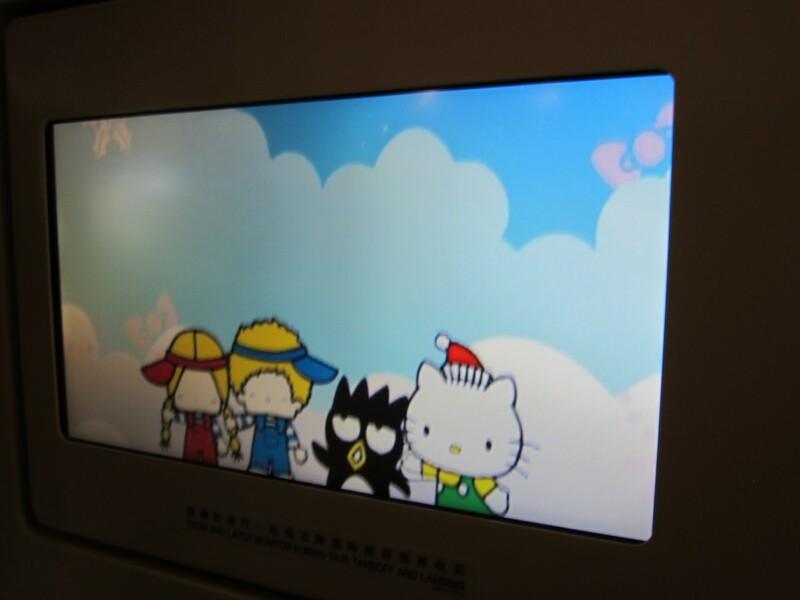 Originally we were routed to take a Hello Kitty jet from Los Angeles. 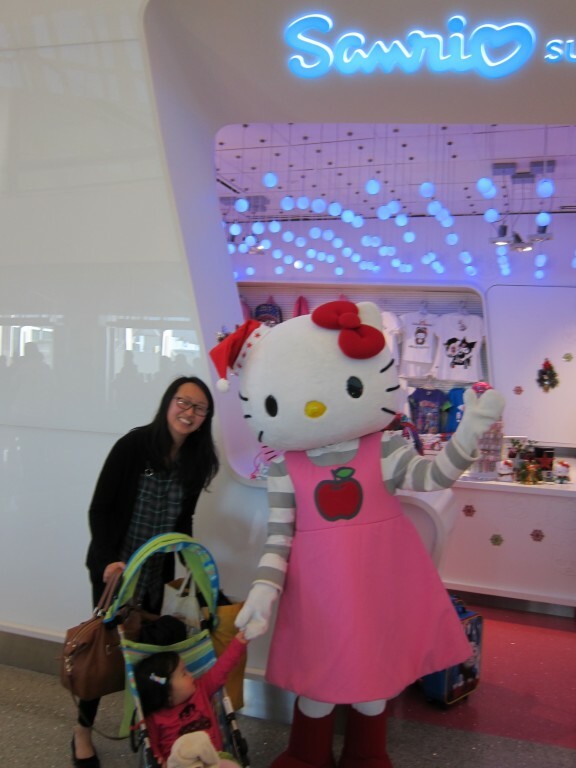 LAX is a terrible airport to transit, especially with kids, but the chance to fly a Hello Kitty Jet with a 2 year old girl (and my daughter too!) felt worth it. Of course, the literal DAY that I read that article EVA announced they’d no longer be flying the Hello Kitty plane from LAX. WHY!? Sadface. Our original itinerary called for an 11 PM flight out of LAX – aka 2 AM eastern time. I decided it’d be prudent to switch our flights to the 350 PM EVA flight out of LAX. Like clockwork, this space opened up two weeks out (I’d say the cabin was only 60% full when we actually flew it and award space was available all the way until the day of departure). Since I had booked before the United Devaluation, the flight cost us 120,000 United miles and around $10 in taxes and fees. Of course, M cost a whopping $515 – 10% of the base cash fare – for the honor of sitting on our laps. Still cheaper and infinitely more comfortable than flying coach with a lap infant, but those international infant taxes and fees are no joke! This was an easy flight to book. I searched ba.com for award space on Cathay Pacific and booked us two economy seats + lap infant for 9450 Avios and some spare change in taxes and fees. Since the flight is only 501 miles it cost 4500 Avios per person, a steal considering the cash fares were a couple hundred USD when I booked (one way!). British Airways also has one of the most generous lap infant policies – 10% of the miles instead of 10% of the base cash fare – so M cost us 450 Avios. This would come in quite handy for the return flight. 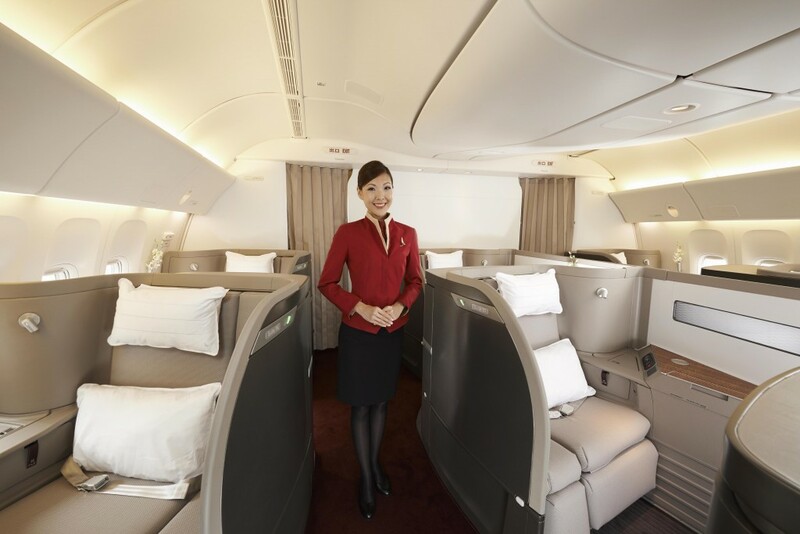 The flight I consider the crown jewel of my trip: Cathay Pacific first home. I wrote about how I obsessively checked award space until it paid off back when I booked the flight. Rereading that post, I still can’t believe two seats opened up that far out – in a six seat cabin no less! The short version: we booked two CX F seats plus an infant for 220,500 Avios (transferred from AMEX MR mostly). The flights cost us 105,000 Avios each, plus 10,500 for M. I still think this is way better than the probably >$1000 taxes and fees I would have had to pay for M if we had booked through AAdvantage (though it would have only cost us 67.5K each). I’m beyond excited to try my fourth different first class product this year! 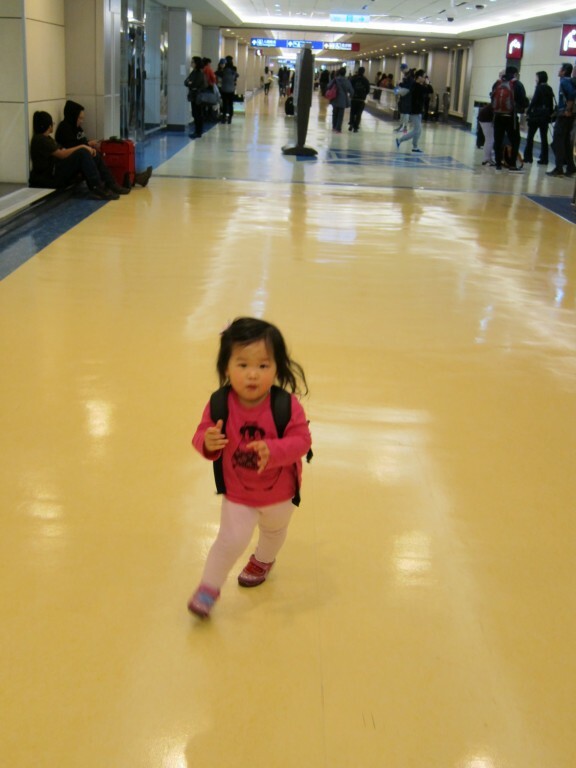 We had to also book a cash ticket home from ORD – M’s first miles earning flight! (I bought her a seat – she’s really way too big to be a lap infant in coach). So we’ve already checked into our suite at the Grand Hyatt Taipei and I am pretty impressed. I had leftover diamond suite upgrades from my Hyatt Diamond Challenge (which has been discontinued and which I unfortunately failed). I booked the room with Hyatt’s Cash and Points rate; ridiculously, this Grand Hyatt is only Category 3. Thus the room costs 6000 points and $75 per night. A pretty awesome deal considering we confirmed the suite upgrade as well. Rooms are currently around $350/night. 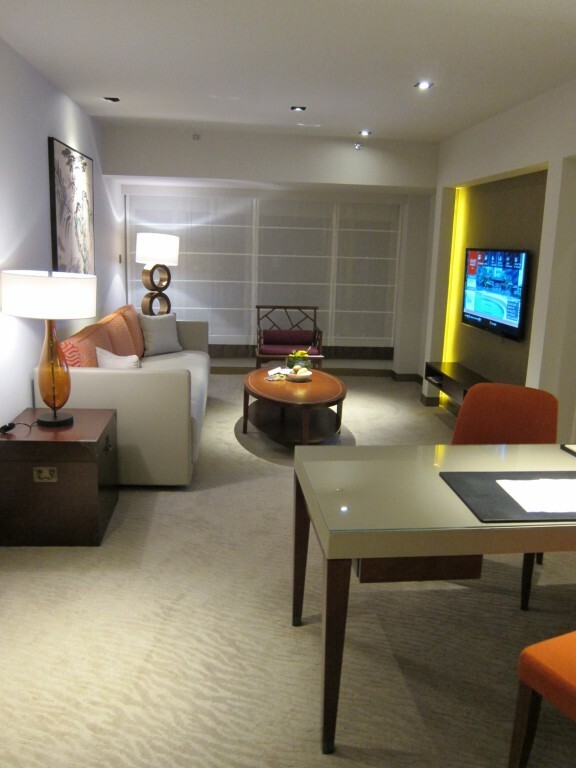 The Hyatt Regency TST is a category 4 hotel, so this one cost us 7500 points and $100 per night. Again, we confirmed with a suite upgrade and I’m looking forward to the stay after Trevor’s review! This was a pretty exciting trip to put together. I have already had my fill of Taiwanese breakfast delicacies (not even counting the hotel breakfast) and am looking forward to the rest of this trip. Once again, points and miles definitely made things easier – will try to update this trip report as I go! Awesome pic of the family, Joe! M is growing up fast! !